I have been around and trained bird dogs my whole life. Having owned and been around a lot of breeds I was looking for something different. 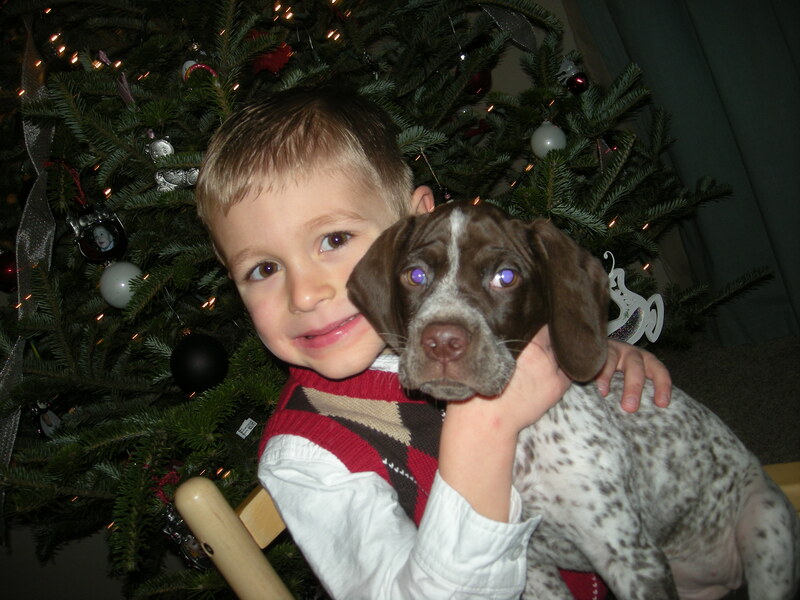 After a long search for a bird dog breed that was as much of a pleasure in the house as they are in the woods, we brought home our first Braque Francais for Christmas 2010. Our son Brody with Eve as a young pup. My wife and fell in love with this breed so much we decided to start a kennel in our home. The rest, you can say, is history! We are committed to breeding the best dogs we can. We health test our dogs for any genetic issues. We also evaluate each dogs temperament and hunting ability before they enter we will consider breeding them. To read more about why we chose a BF for our family, see the “Why We Chose a Braque Francais” tab.